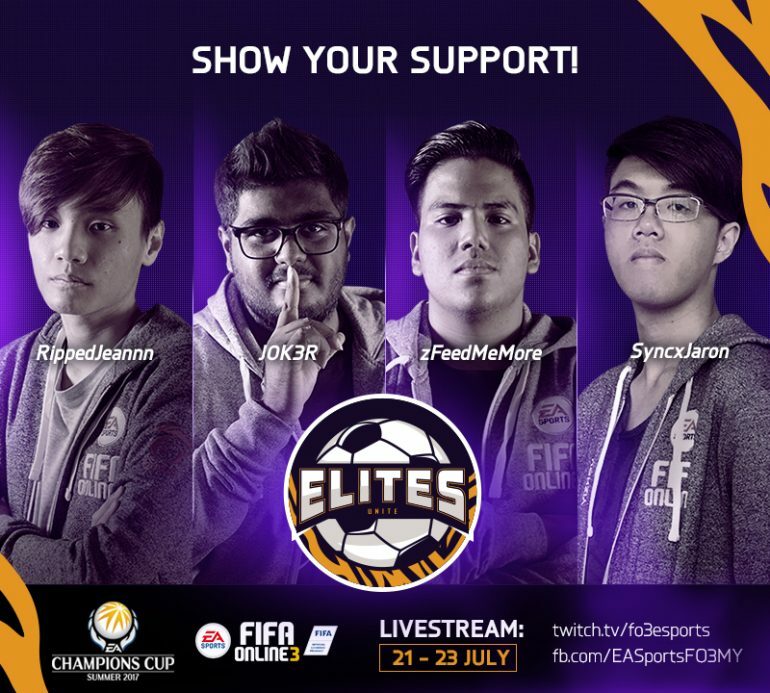 For the first time ever, the biggest competitive gaming tournament for EA Sports FIFA Online 3, the EA Champions Cup (EACC), will feature SAM Elites; an all-star team that consists of four world-class players from the Malaysian and Singaporean servers. Formed through national and open qualifiers, the team consists of Aaron ‘FlashJ0K3R’ Gomez, Darren ‘FlashRJ’ Gan, Ajim ‘zFeedMeMore’ Hakim and Jaron ‘SyncxJaron’ Lim. The EACC tournament will be held from the 21st to 23rd of July 2017 at the Poly World Trade Center Expo, located in Guangzhou, China. There will be a total of 12 teams from seven regions fighting for their share of the USD$330,000 (about RM1.4 Million) prize pool. Representing Garena will be the Southeast Asian regional teams such as TNP from Thailand, Vietnam Dragons, Indonesia MVP, as well as homegrown team, SAM Elites. For the host country, China will have FSL, EMU, DFB, and Glory MU as their representatives. On the other hand, Korea will send over adidas NEMEZIZ, adidas ACE, and adidas X. That’s not all as EA Sports has also invited the United Console team which consists of the top European FIFA 17 players. There will be an EACC livestream at FIFA Online 3’s Twitch page here. To stay updated with plays and match results, head on to FO3’s official Facebook page here.